Life can be hard for vegans. Oftentimes there are only one or two options perfect for vegans and it can become a bummer. If there are even options, they often taste too bland and trying too hard to taste like real meat. Fortunately, West Sydney has its own collection of authentic and delicious restaurants perfect for vegans everywhere. If you are looking for good options or you want to try switching to the vegan lifestyle and want to know where to start then try these restaurants below. This full vegan menu restaurant has yummy breakfast and dinner options perfect for everyone. They offer imitation meat that still has a tinge of vegetable in it but manages to still taste delicious. The lasagne and spagbol are perfect for those who crave a good carbo-loading. If you are looking for a raw vegan menu then Sadhana Kitchen is the place to be. They offer a wide range collection of food from lunch, breakfast, dinner, smoothie, and many more. Those who want vegan high teas are in for a treat since they also have a roast of quality high teas. If you are stuck in your office, you can call up Sadhana and have their food delivered to you right away. 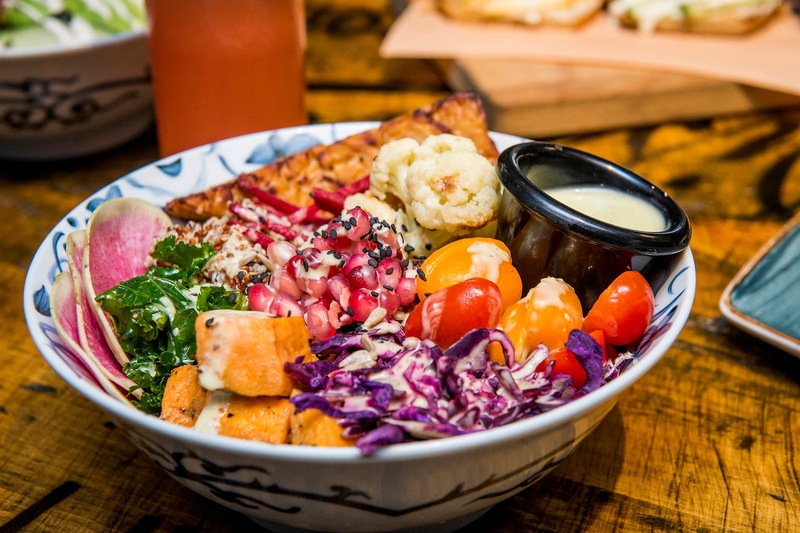 This popular vegan hot spot is a buffet style paradise for those who crave a tasty vegan food without the frills. They have pay-by-weight selections perfect to those who want to keep their options open. It’s truly a vegan restaurant that can make any belly happy and satisfied. It’s true: pizza without cheese can still work. It sounds like a lie but Gigi Pizzeria makes the whole thing possible. The plant-based menu matched with a layer of sweet golden tomato puree and tender ribbons of capsicum gets all the right spots that are not usually present at most vegan pizza. Give the famous ripienozucca e spinaci a try if you want a dairy-free delight thanks to the lovely pumpkin-based sauce. Craving for a burger? The plant-based menu in The Green Lion is simply one of the best in town. It’s so good that the place is often full every night. The green mack burger is the restaurant’s own healthier take on The Big Mac. It won’t make you miss the MSG filled landmine that is the fast food king’s favourite food. There are also some yummy salads that will make you crave for more. Lentil As Anything is probably the most hipster thing that we have seen. But in a good way. This vegan restaurant is a pay what you feel restaurant. Yes, you read it right. It’s the restaurant where you can pay whatever you want to pay and still get yummy vegan delights. The portions are great and they even give free desserts. There’s also live music, communal tables, and just a general good vibe that you won’t see anywhere else. A combination of Vietnamese and Latin American cuisines, Nourishing Quarter is an assault on senses. Their vegan dishes are not short with the spices that we are all looking for. Their quinoa noodle salad with crispy tofu are just some of the best vegan dishes out there. The space is pretty small perfect for an intimate night out with someone you love. This legendary vegan place has a wide selection of healthy options which includes vegan wine. The crunchy parcels densely packed with shredded coconut and mashed soybeans is so delicious that even it’s a bit pricey people still want a plate every time.